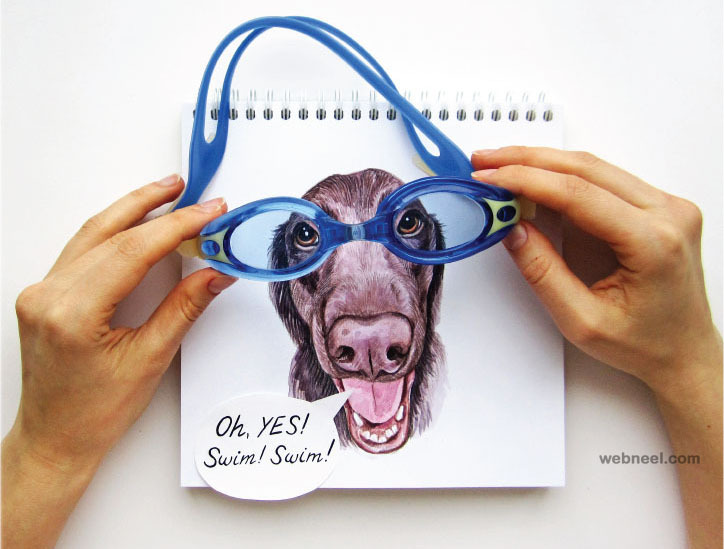 Creative Art: Valerie Susik is a Russian artist, who is interested in digital illustrations, photography and drawing. 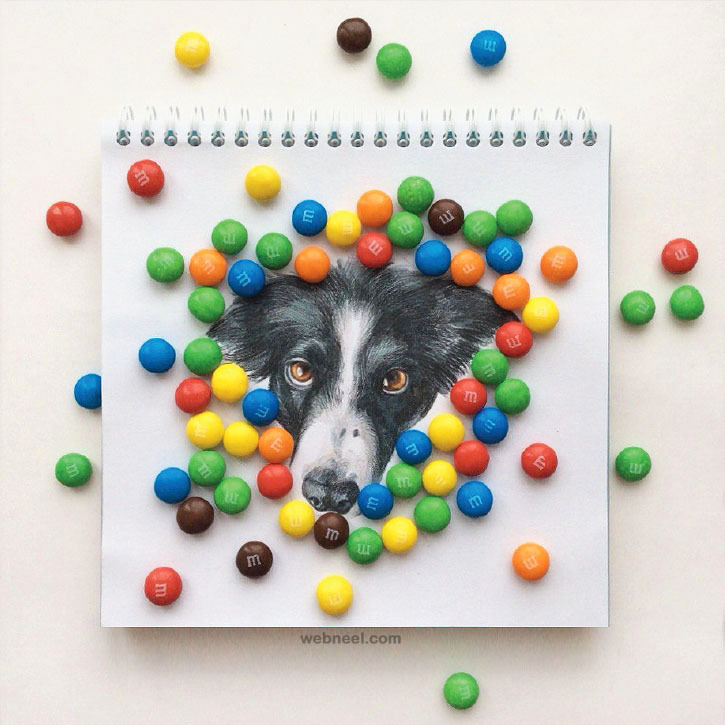 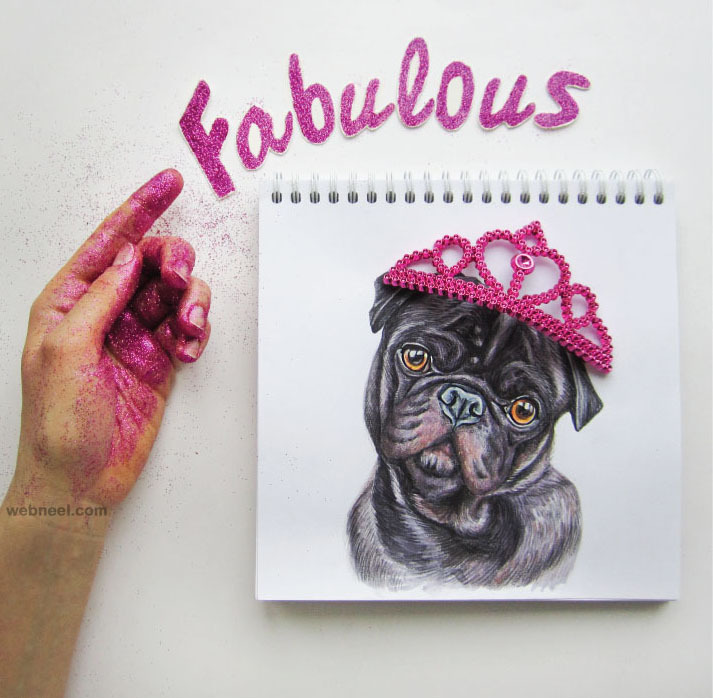 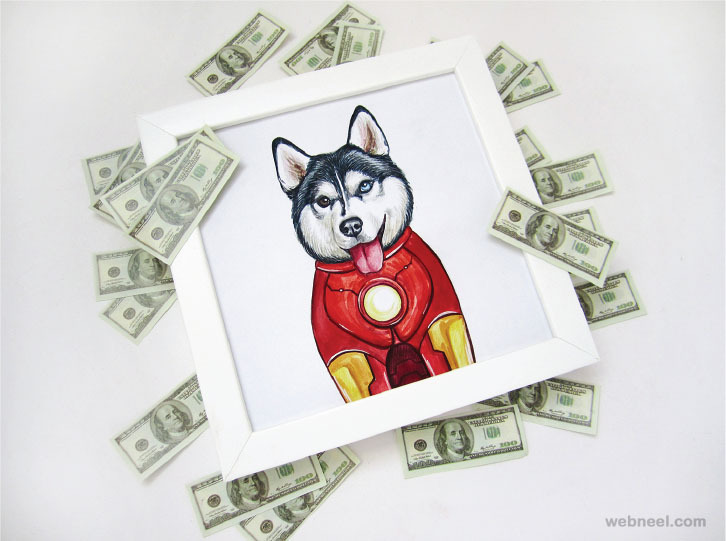 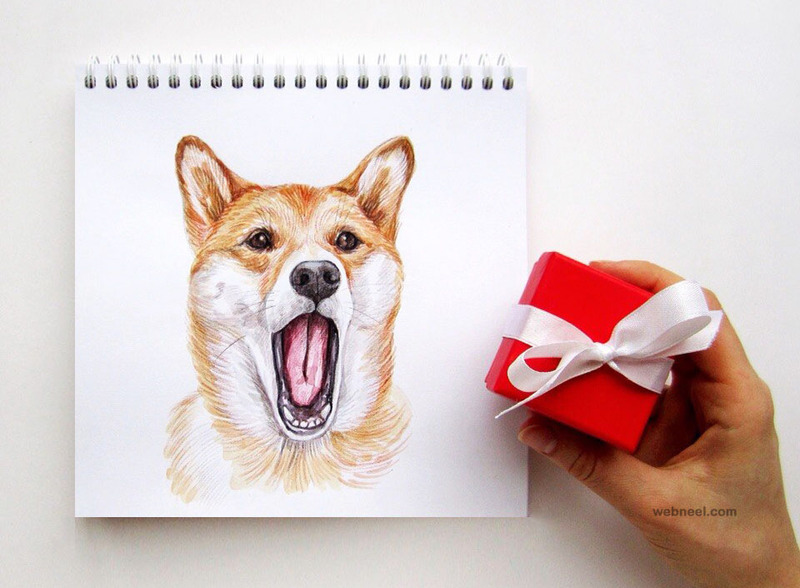 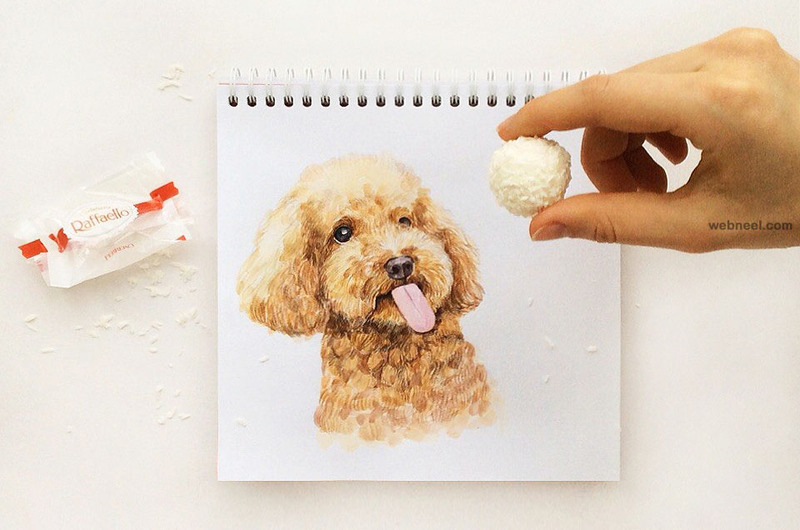 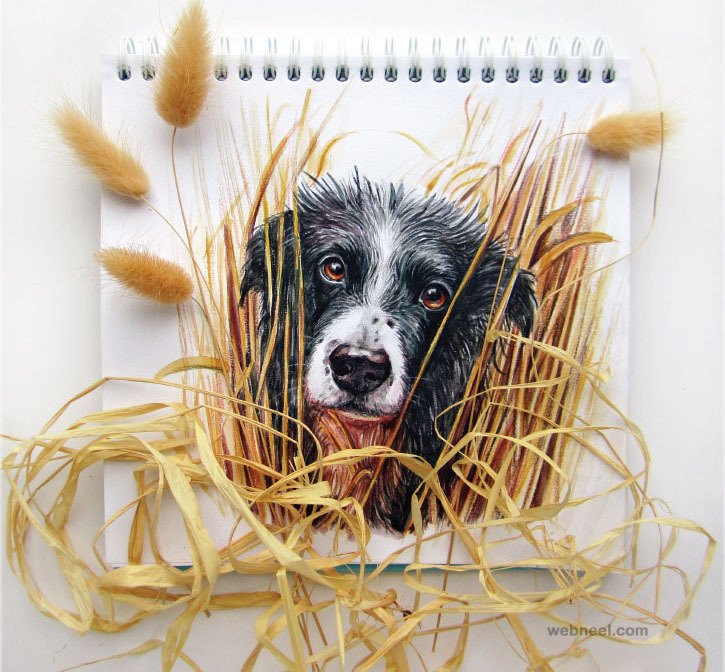 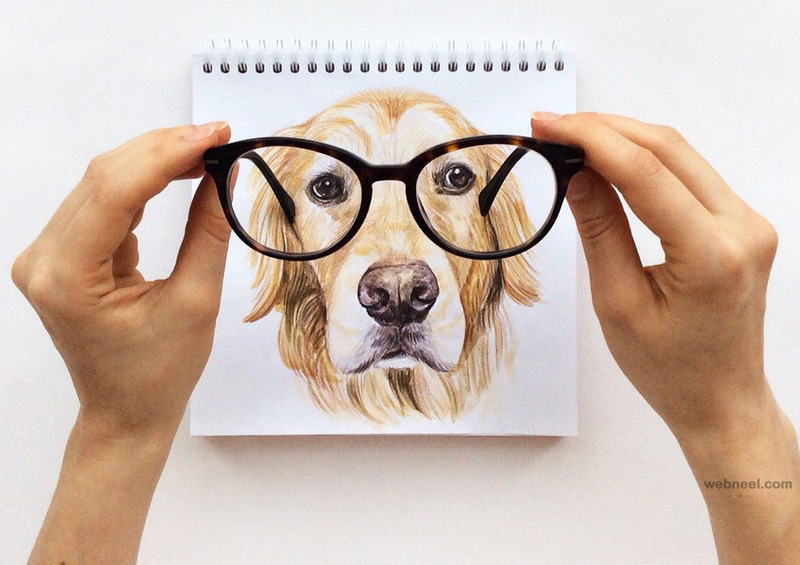 She has created a series full of interactive dog drawings, which are so creative. 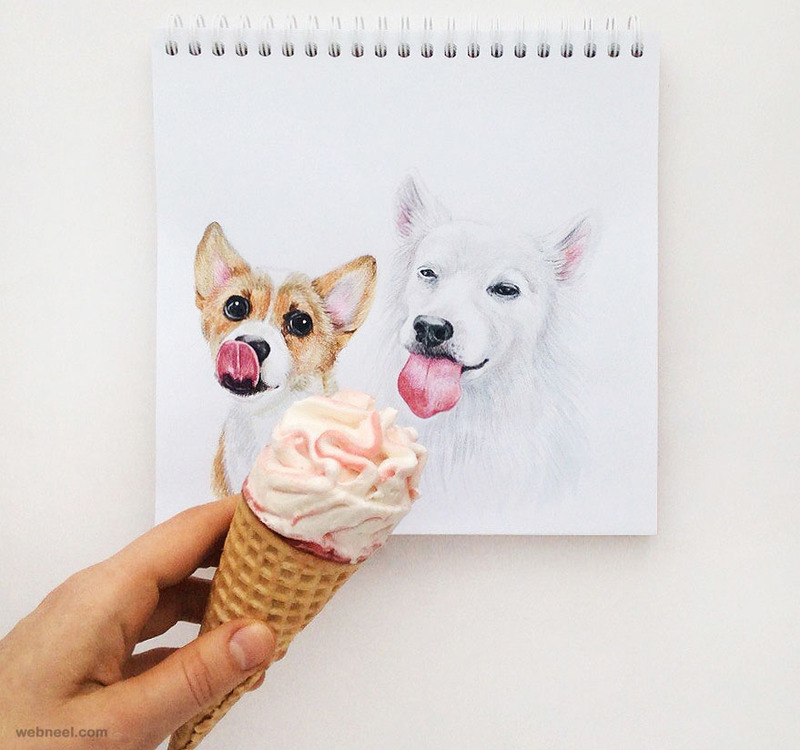 In this set of dog drawings, you can see that the animals are shown in their natural behavior. 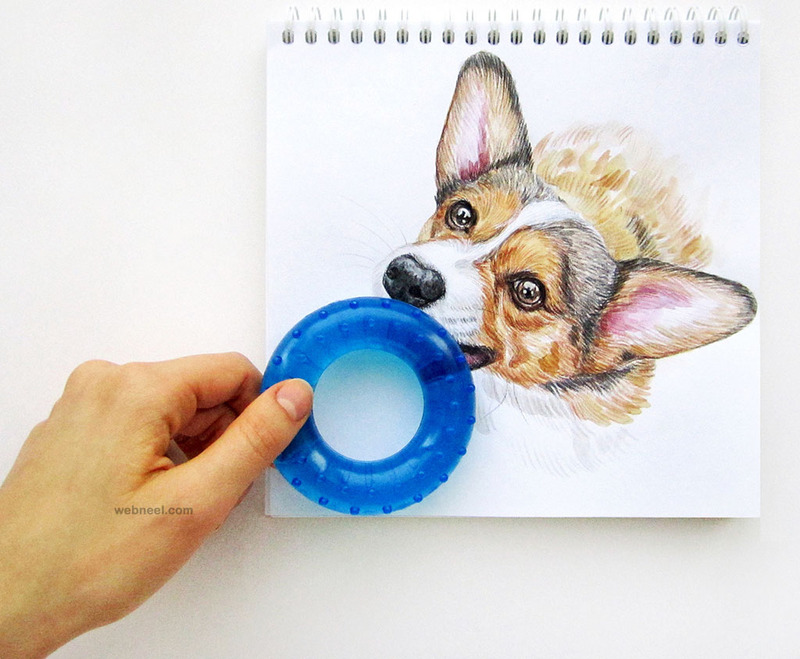 After drawing, the sketches have been photographed in an illustrative way, which makes it very unique. 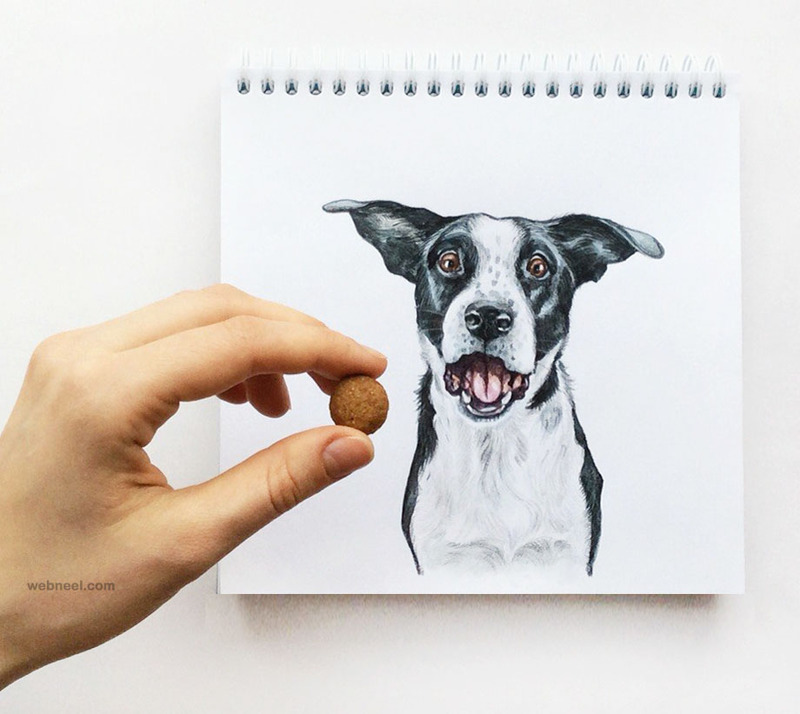 What does a dog do, when a ball is shown to it, it tries to grasp it. 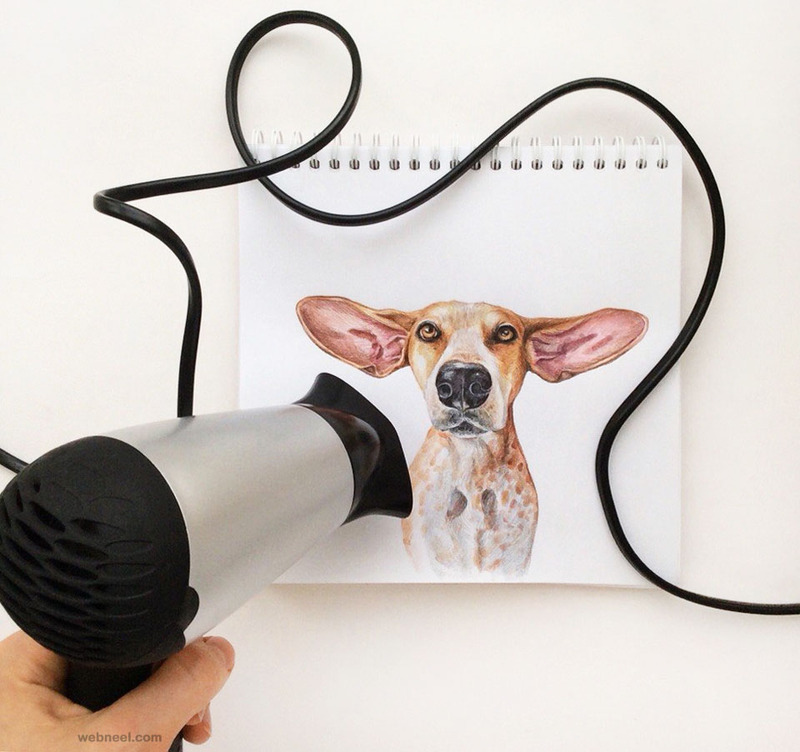 Using daily objects, these creative drawings are simply mind-blowing. 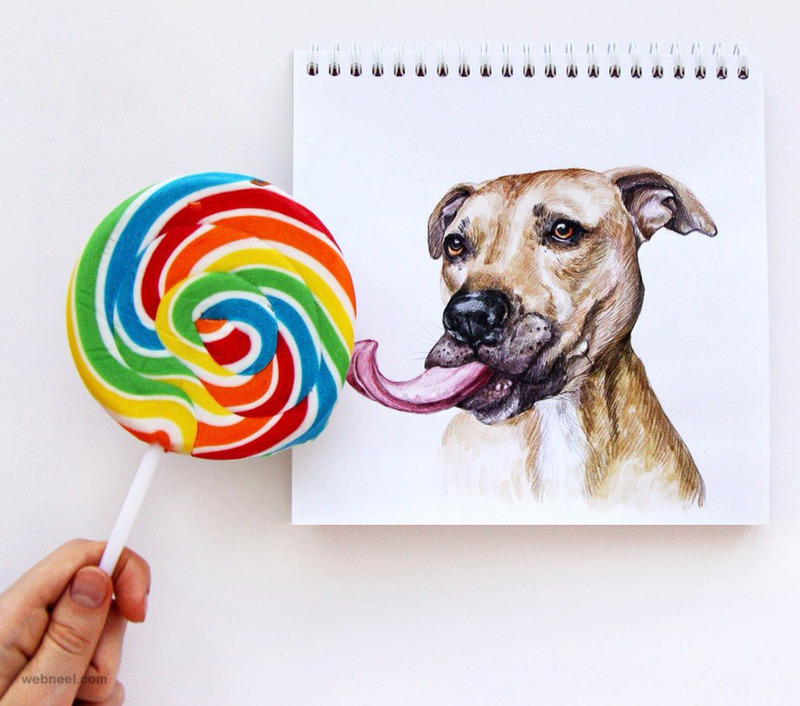 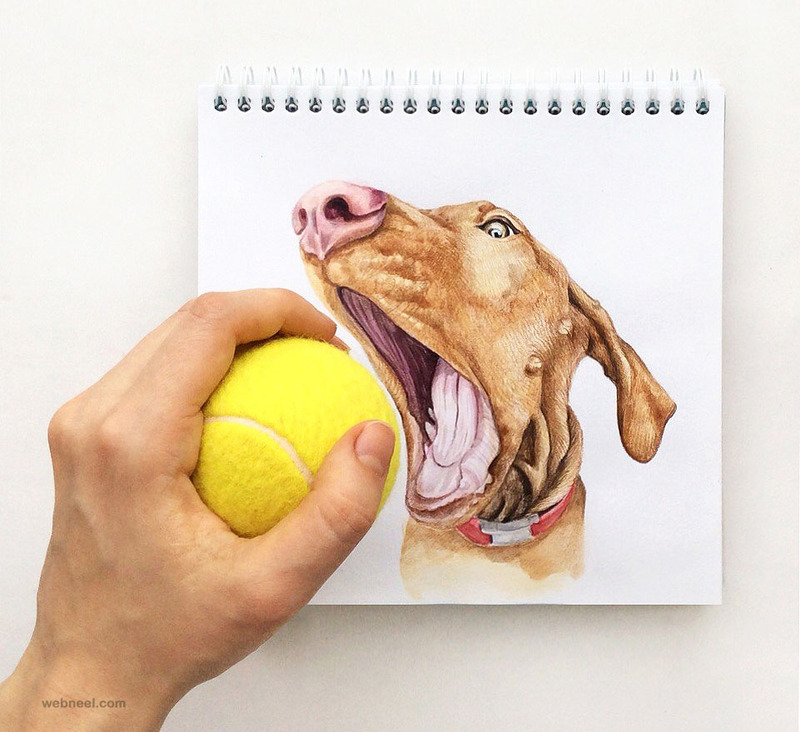 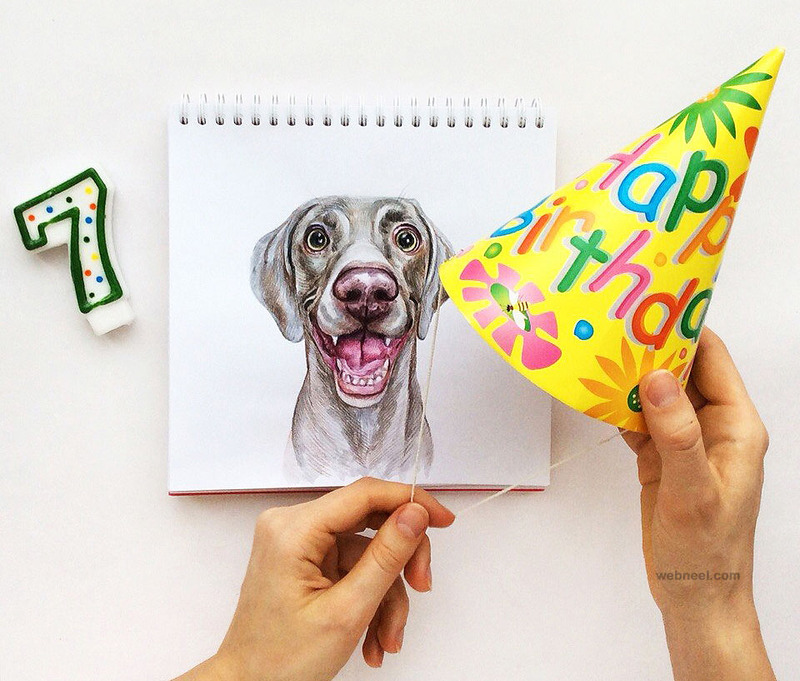 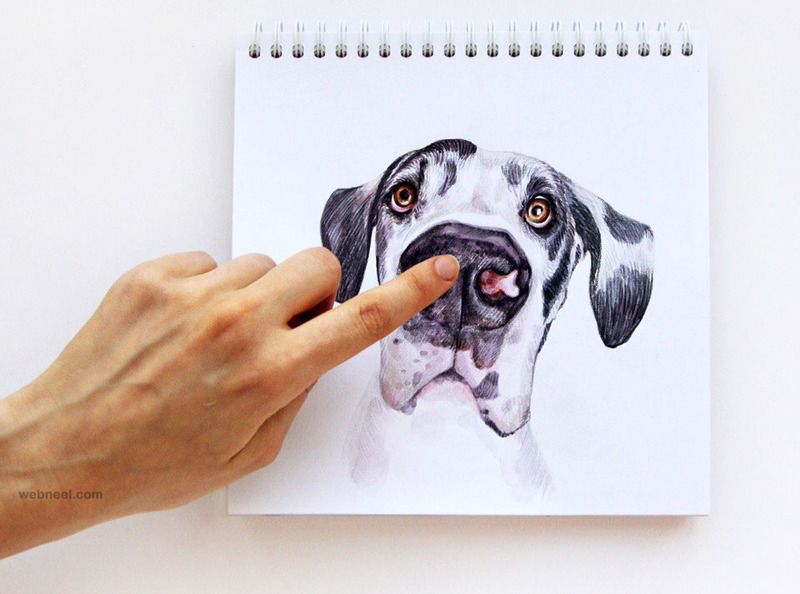 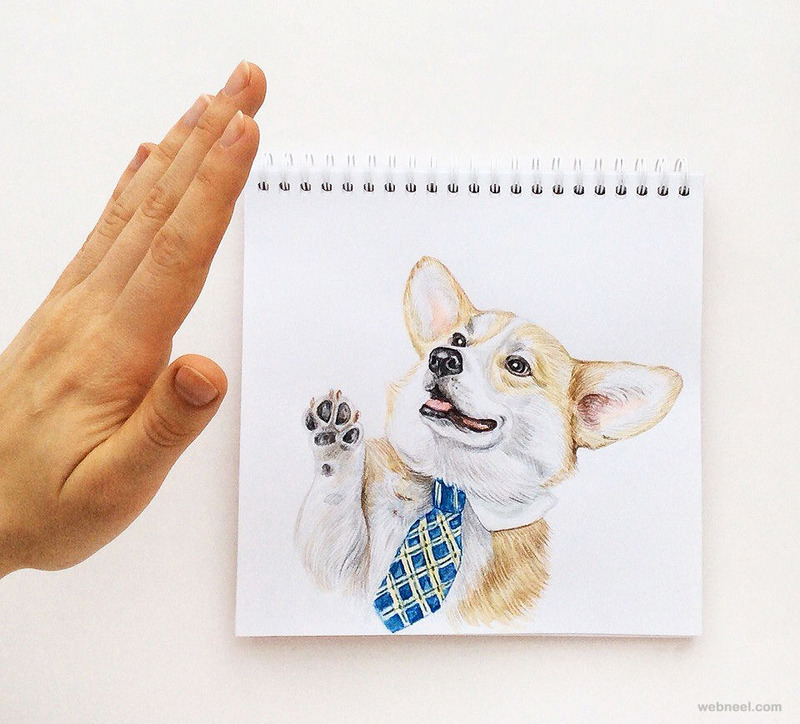 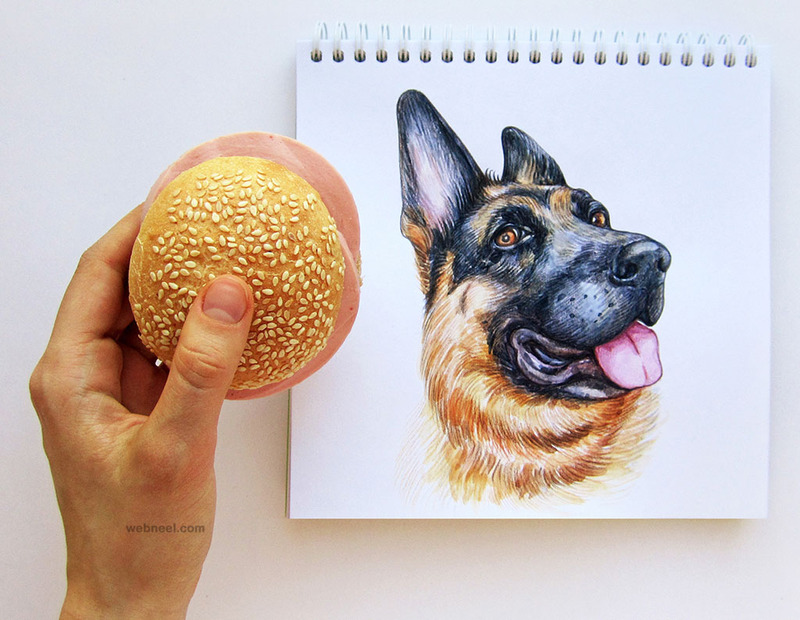 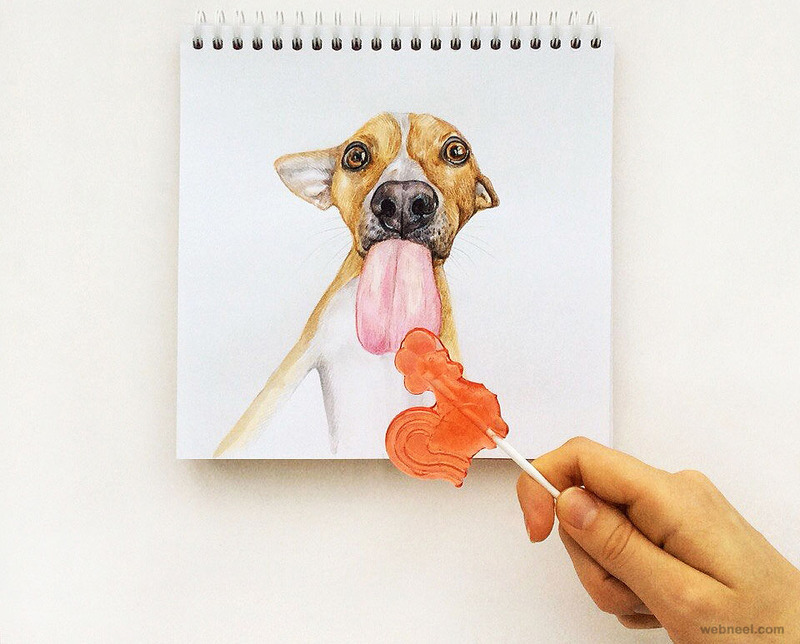 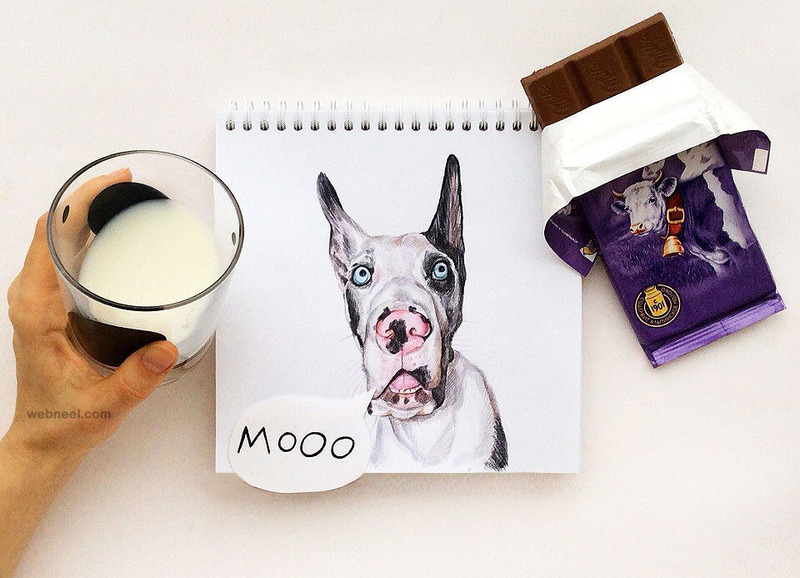 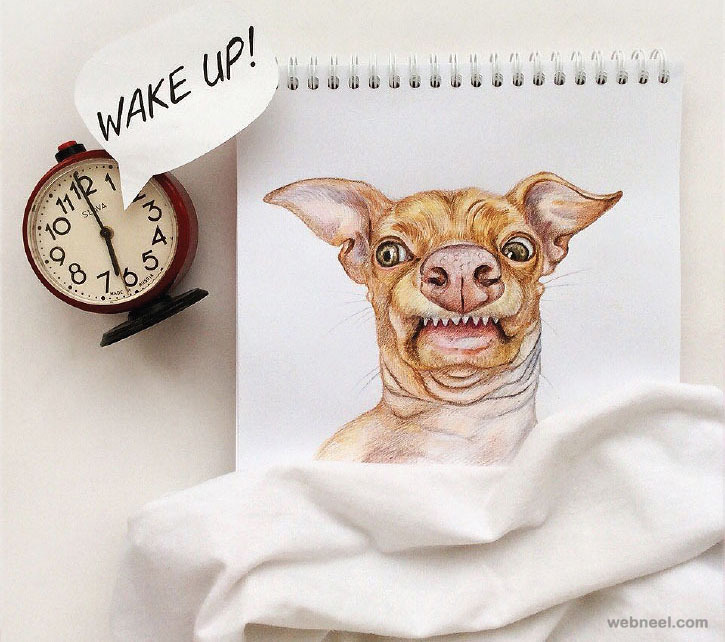 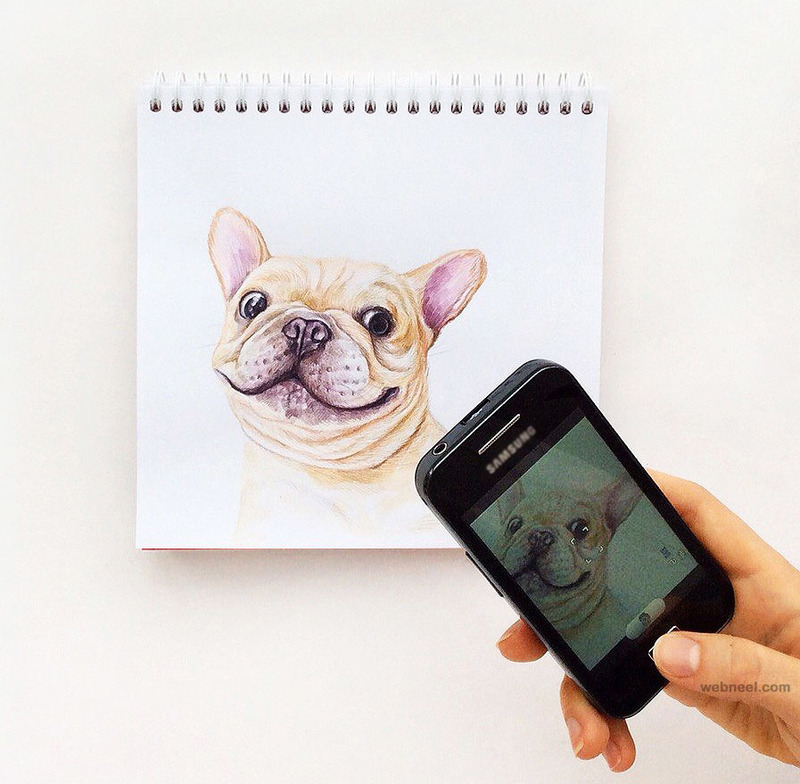 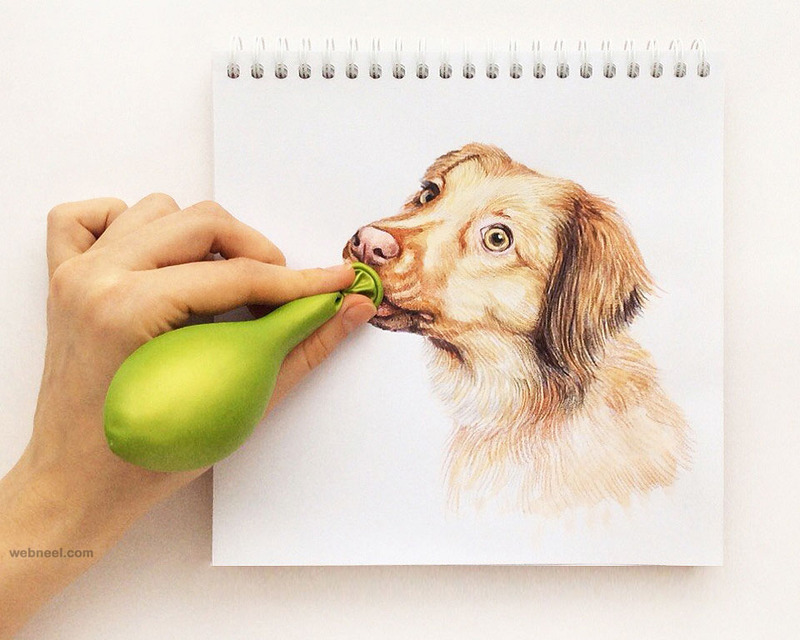 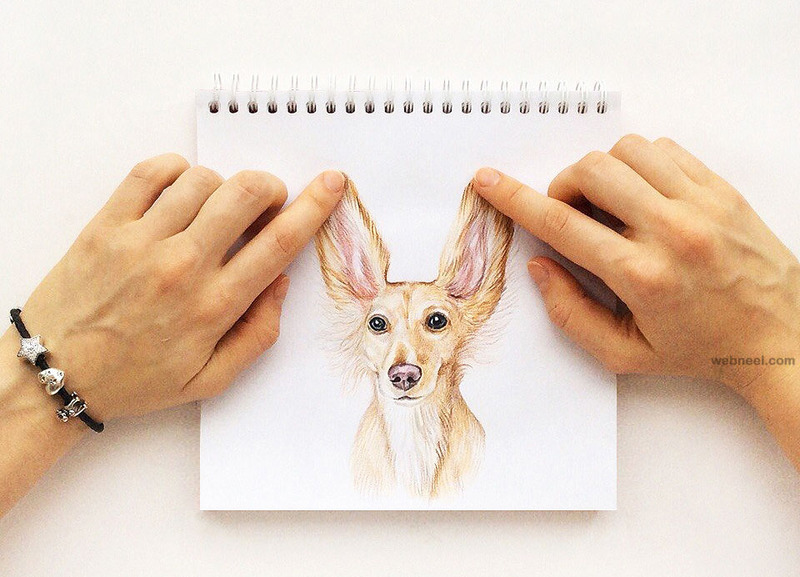 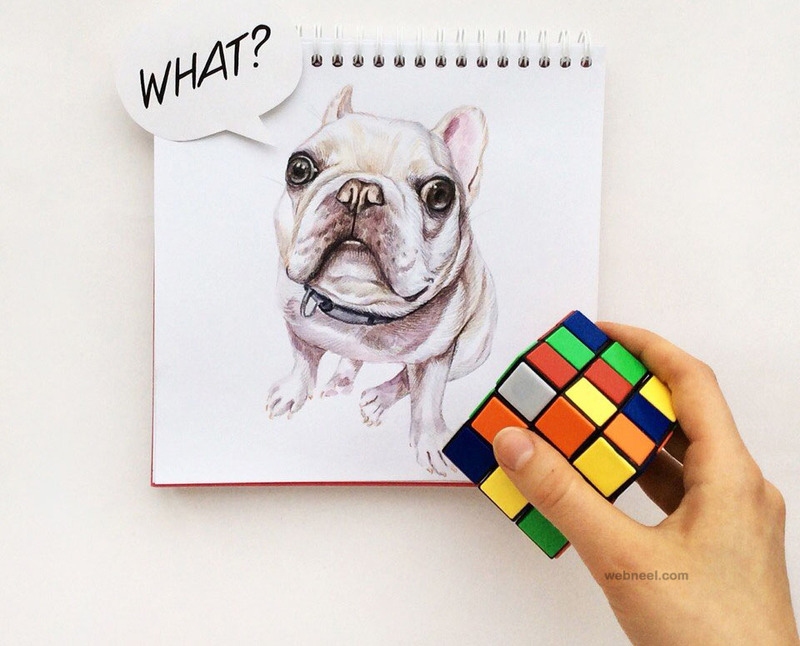 Valerie Susik has cleverly caricatured dog drawings on to her sketchpad and simultaneously added a human hand holding some object, which instantly makes a connection. 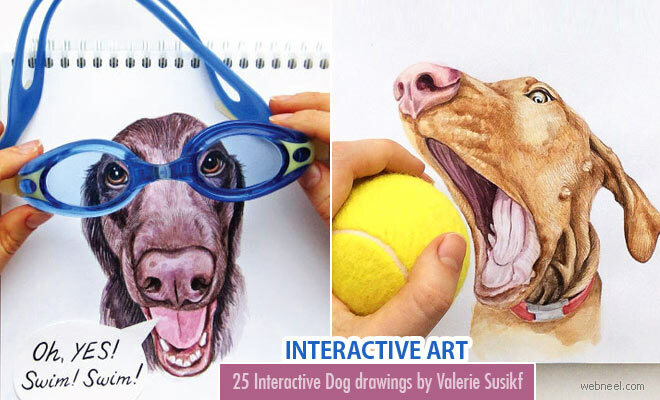 Likewise many situations have been created, making it very interactive dog illustrations.